Trucker Search – Page 2 – We help great drivers find great companies. Steven Wright once said, It doesn’t matter what temperature a room is, it’s always room temperature. If you’re a reefer operator, you have to be a little more precise. 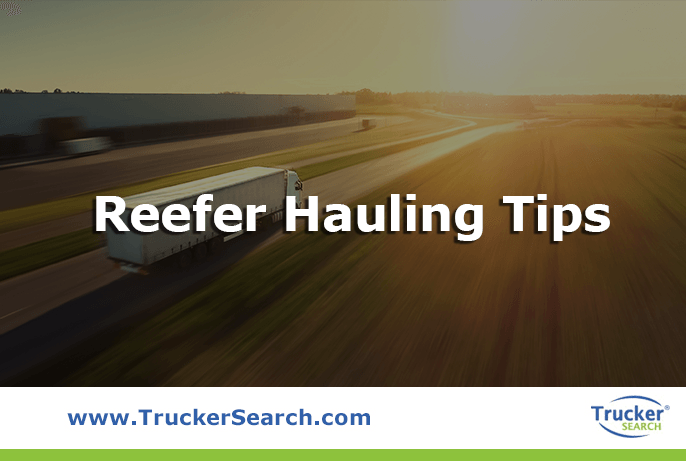 A reefer, or refrigerated truck, is a truck that has a built-in refrigeration system in order to haul temperature sensitive freight safely. The trailer must be maintained meticulously to keep it running properly so that the food being hauled is kept at safe temperatures. If it is not kept at the right temperature, food can be lost, costing the company thousands of dollars or worse yet, people could get sick and even die, costing your employer million dollars in lawsuits and lost sales due to a damaged reputation. Food Safety is a public safety issue. In 2017, the FDA launched the Food Safety Modernization Act intended to protect foods from being contaminated on their way from the farm to consumers. The requirements include rules for the cleanliness of vehicles and transportation equipment, required temperatures controls, keeping ready-to-eat foods and non-food items away from raw foods, and keeping out contaminants and allergens. Also included are guidelines for food safety training and record-keeping which must be detailed and kept for a year. For more on the act, go here. Keep the trailer clean. It should be washed after every load if you can. If you’re carrying meat, blood can spread across the floor during transit so be thorough about cleaning. Odors can stick around too and affect the smell and taste of your next load. Be on the lookout for things that could’ve been left behind from your last load like wood bits or nails from the pallets or screws from other equipment. Do strict regular maintenance. Breaking down in a reefer truck can result in the loss of your load. Don’t risk it! Get regular maintenance to ensure your truck and its sensitive load meets their destination safely. Giving your truck a quick inspection before each trip, looking for any damage or nails in your tires, check tire pressure, etc. may prevent a breakdown as well. Follow loading guidelines. Stacking loads appropriately so air flows through the truck will help to keep the food at the correct temperature. Never overload. Pre-cool your reefer. If you put cold food in your hot truck, the temperature of the contents will lower before the truck cools to the appropriate temperature. Better to do it first. Allow plenty of time to do this, especially in the summer. Make the temperature of your trailer the most important thing. Before you pick up your load, check with the shipper to find the right temperature of the load. If the temperature is off by even a little when you deliver the load, the receiver may reject it due to food safety concerns. Bacteria grow at temps between 40°-140° so it’s crucial to get it right. Don’t rely on the trucks thermometer; use a pulp temperature thermometer before, during, and after transit and be sure to record all of your temperature readings. Fill up at the pump first. Make sure that when you pick up your load, you have a full tank of gas. Reefers need to be kept running to keep the trailer cool so any stop can affect food temperature. Some shippers require that you’ve filled up before you take the load. TruckerSearch is a leader in helping reefer drivers find employers and jobs across the country. You can search our database of thousands of job listings or load your resume and let companies find you. And if you’re a shipper looking for experienced reefer drivers, we’ve got the database for you! 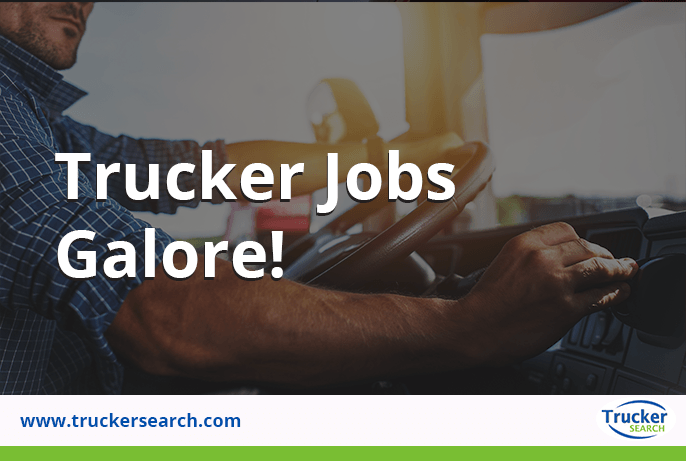 Go to TruckerSearch and begin your search today! You’re a newbie to driving a truck. You got your CDL and you’ve found a company willing to take a chance on you and give you a shot. It’s their hope that they’re making a good investment and they’ve found a new, dedicated driver who’s going to build a long and fruitful career with their company. For many drivers, that first company is merely a stepping stone to bigger and better things. The companies that pay the most money have the ability to hire the most experienced drivers and you, fresh out of truck driving school, are not one of those. So your plan is to gain some experience with the first trucking company to hire you and then hit the road (get it?). Those trucking companies that hire entry-level drivers tend to have a high expectation of failure. In fact, many of them lose 90% of new drivers in the first year. But you’re not one of those either. You do your job well and understand that there will be bumps in the road (get it?) but you’re gaining experience that will only further your career. In a sea of quitters, you made it, you prevailed. Now, a year after you began, you’re considering moving on but should you? If you leave after a year, you become a newbie all over again at a new company. Does it make sense to leave a company where you’ve proven yourself only to be back on the bottom rung needing to prove yourself all over again? When you started middle school, you were the little guy who didn’t know where anything was or what to do but eventually, you proved yourself and made to 8th grade. King of the hill. Life was good. Then what happened? You went to a new school with different rules and you didn’t know where anything was. You were a lowly Freshman. At the bottom again. That’s what it’s like to go to a new company after a year. You become a Freshman and have to prove yourself all over again. Of course, this isn’t to say that not moving to a new company is always the right decision. After all, what would’ve happened if you stayed in 8th grade? You would’ve been stunted. And it would’ve been weird for the other kids. At your first company, you exceeded expectations so why not see where it goes? Companies that hire entry-level drivers aren’t inherently bad companies to work for. They may very well value those who make it through their rookie year and reward them with some great opportunities. If you can do the job safely and efficiently, you’ll begin to gain respect. After a year with your first company, they will look at you differently. They’ll realize that you’re less of a risk and are dependable. They’ll know they can depend on you to do the job efficiently with minimum issues which means you’re maximizing their profitability. After a year, you’ve worked out all of the kinks, learned all of the procedures and tricks and you can give your employers smooth, on-time deliveries. Once you’ve proven yourself with a year of dedicated service, you should receive a decent increase in pay as well as the opportunity to earn some hefty bonuses. Working your way up the ladder and earning a reputation as a good producer can open you up for better jobs whether they are specific jobs within the company or simply be trusted with better routes. Ultimately, only you can make the decision to stay or go. Because many people move on after they’ve gained some experience, you may think it’s what you’re supposed to do. Don’t make that assumption. Weigh all your options but remember you may already be in a position where you are highly valued and can make a successful and profitable career. The trucking industry is booming and the driver shortage has put good, reliable and experienced drivers in high demand. Some estimate the shortage at 100,000 truck drivers less than what is needed to keep up with the current demand. Whether you’re looking to jump into this growing field or you’re a driver looking to make more money, here are a few steps you can take to maximize your earning potential. Before your wheels even hit the road, your trip should be organized and well-planned. When you’re prepared for obstacles, you’re better equipped to avoid them. Efficiency feeds on thorough planning! Map it. And not just with your phone. Bring a map. Yes, an old-fashioned, paper map that you’ll never be able to fold back up again. If you run into any technical problems, you’ll still be able to find your way. Find the fuel. Know where all the fuel stops are. If you’ve ever run out of gas, you know how important it is to know if you’re not going to see any gas stations for the next 50 miles. Calculate your time. Do a thorough calculation of your time on the road and don’t forget about those pesky time zones! While out on the road, there are a few things that you do to help increase your pay, other than quickly getting from Point A to Point B. Talk to your dispatcher. Keep your dispatcher informed of anything important happening along the way that could impact the delivery. They’re limited to what they can see on their screen. Take breaks. Spending all day driving can be physically and mentally exhausting. While it may seem like the best thing to do is to get to Point B as fast as you can, it’s important to allow yourself time to take a nap, eat, get fuel, etc. Fuel your truck and your body. Of course, time not driving means you’re not earning money but if you are tired and have an accident, you may lose even more. Keep in shape. Life on the road can be unhealthy. We all know that being sedentary behind the wheel and eating food high in fat can lead to severe health problems but it can also greatly impede your stamina on the road. A healthier body will need fewer sick days and will be able to better handle long hours behind the wheel. Improving yourself and adding skills and experience will help you rise above the rest. Get trained. Most truckers will have their CDL but being trained and having the certifications to transport gases, flammables, corrosives, combustibles, and other hazardous materials will allow you to demand more money. 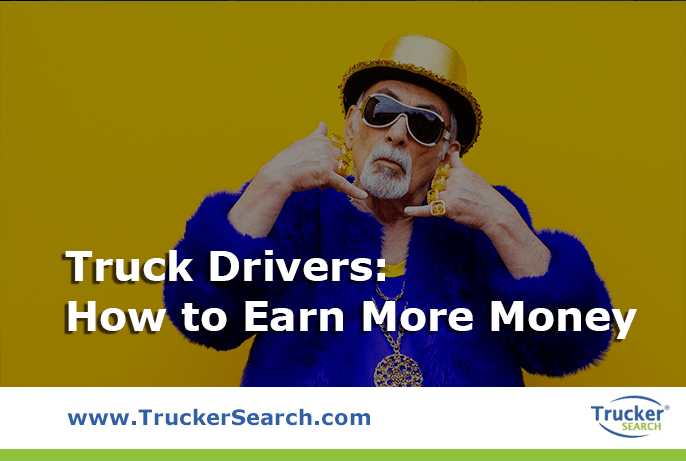 Someone who can drive different types of trucks can also potentially earn a higher salary. Tankers, reefers, and even heavy construction machinery that you may haul to a site such as dump trucks and cranes, can bring in more money. Get experience. Put in those hours. You’re not going to get your CDL and immediately start bringing home the big bucks. Experience pays and there’s no way around it. Find the right company. Jumping from company to company may seem like a good idea, especially with the hefty sign-on bonuses that some trucking companies offer, but it might not earn you the most money. Sure, those bonuses are enticing, but loyalty can go a long way too. Many trucking companies expect to lose a big percentage of their rookie hires―the job may not live up to the expectations of the dream job they signed up for and the time away from family can be more difficult than they imagined. Regardless of the reason, many are weeded out in the first year and you may just be handsomely rewarded for sticking around. Look for those bonuses. Many companies offer more than just sign-on bonuses. 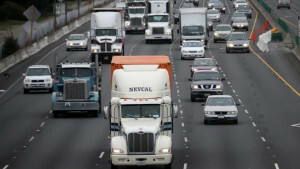 More and more companies are looking to sweeten the pot for drivers by offering fuel savings bonuses and safety bonuses. As with anything, always read the fine print! Change locations. Your location may have an effect on your salary. According to the Bureau of Labor Statistics, the median income for truck drivers in 2017 was $44,500 nationwide but it varied from state to state with West Virginia being lowest at $40,080 and Alaska at a much higher $56,250. Some companies will pay more for truckers willing to drive in New York City. Buy your own rig. This isn’t something every trucker can or wants to do. It takes a lot of money. Even if you plan on financing it, you’ll need a large down payment if you want your monthly payment to be affordable. And when you’re starting out, you’ll need a significant amount of money for working capital to pay for things like insurance, oil changes and other maintenance of your truck, unexpected repairs, and fuel. But if you can swing it, being an owner/operator can earn you a triple-digit salary, if you work hard and make smart decisions. One of those smart decisions would be to try out Trucker Search where you can post your resume and let employers find you. Or you can actively search our database of carriers looking for great drivers like you. Go to TruckerSearch.com today and be on your way to reaching your earning potential! Buy my own rig? That is the question. For many, the open road is a calling. For others, it’s a way to earn a good living working for a company, driving their trucks. But some see it as the potential to own a business and be the boss by buying their very own big rig. There are many advantages to owning your own truck. You’re the boss. You choose when you work and which jobs you take. You negotiate the price, and without a trucking company paying you, when you are the trucking company, more of that money goes to you. You make all of the decisions, are responsible for all the work, you’re the Big Kahuna. The disadvantages to being an owner/operator? You make all of the decisions, are responsible for all the work, you’re the Big Kahuna. Any problems that arise such as your truck breaking down or deliveries not being made on time, fall on you. You’re the one that has to rectify and pay for it all. You can’t put it on someone else’s plate. If you decide that you do want to be the Big Kahuna, you need to be prepared. You’ll need lots of money to start. Few people have the money to buy a rig outright so most will have to finance it. Having a large down-payment will make the monthly payments more manageable, which you’ll need because you’ll most likely face a few customers who are slow to pay for your services. On the other hand, some people recommend little money down because you won’t lose a big down-payment if you can’t keep up with the payments. This can be a self-fulfilling prophecy, however, if you have big payments that are difficult to keep up with. You’ll also need lots of cash on hand to start―working capital―to pay for oil changes and other maintenance, insurance, unexpected repairs, and fuel. It’s also wise to employ the services of legal and business advisers and an accountant before you begin your journey to owner/operatorship. It’s better to not only know what you’re getting into ahead of time but to also do things the right way from the start. Ignorance may be bliss but it can cost you a lot of money in the long run. Professional advice may cost you money on the front end but it’ll save you money on the other side. Another consideration to make before you take the ownership plunge is the effect it will have on your family. Being an owner means may mean that you can set your own hours and choose the jobs you take but that doesn’t mean you won’t be away as much or even that you’ll have the financial freedom to be picky about the jobs you take. You’ve got to pay the bills. Many truck owners like the security of working for larger carriers but that means working on the carrier’s schedule. When your truck and your livelihood are on the line, you may be away more often than if you worked for someone else. Being away from your family can be difficult and even destructive. Being the boss may not be for you. You could be a fantastic truck driver but being an owner/operator involves much more than just driving a truck and being your own boss. If you’re not prepared for all of the other work involved with running your business like paperwork and tracking down payments, you won’t succeed. Before taking the plunge, talk to other people who have purchased their own truck. Grill them. Ask for details on the best parts of the job and the worst. Ask if they have regrets. Is there anything they would’ve done differently? See maintenance records, including oil changes. Note the mileage. Engines should go close to a million miles before they need to be rebuilt. If that’s soon, it’ll be a huge added cost but will add to the life of the truck. Check the tires. Does it need new ones? What is the tread depth? If you’re thinking of buying a used truck, find a used truck dealer with a good reputation. You should get a bit of a warranty to take care of immediate problems and to ensure you’re not buying an 18-wheeled lemon. They may offer a good extended warranty to be sure to ask about it. It can be expensive but if it covers major parts of the vehicle, it may be worth it. Whether you’re buying a used truck or a new one, do the research. Find out about the individual truck’s history as well as the history of the model of truck. Look for any problems that people may have experienced with it. Research the dealership as well. Also, do your homework on becoming an owner/operator. Know all of the work involved and exactly how much it will cost you up front and along the way. Becoming an owner of your own big rig, your own business, can be a lucrative and rewarding endeavor. Go into it prepared with knowledge, and you’ll increase your chances of success. Trucker Search helps owner/operators find companies to work for to help your business grow. Post your resume with your truck details or let carriers all over the country find you. Everything you need is just a click away at TruckerSearch.com. Finding a truck driver isn’t an easy task. Advertising in newspapers and magazines is expensive and searching most job sites is a nightmare because, despite your search criteria, you have to sift through a deluge of applicants looking for jobs other than driving a truck. There’s a better solution. Trucker Search is a web-based service that matches companies with truck drivers who are looking for work and no one else. It couldn’t be simpler. Post your available positions for truckers to search themselves or search our database of available truck drivers. This streamlined service is only for truck drivers and only for companies looking for drivers. With information such as years of experience, number of tickets, preferred runs, and types of vehicles they can drive, you can find the perfect fit for your company. You can even view the full resume before you call. Today’s is a seller’s market in the world of trucking driven by a shortage of drivers so it’s not just a matter of finding a great truck driver, you want to keep them too. Fortunately, there’s a lot you can do to create an environment where your new hire will want to become a seasoned employee. Pay more. This may seem obvious, your pay needs to be competitive, and as the old saying goes, you get what you pay for. If you someone who’s good, you’re going to have to pay a decent wage. 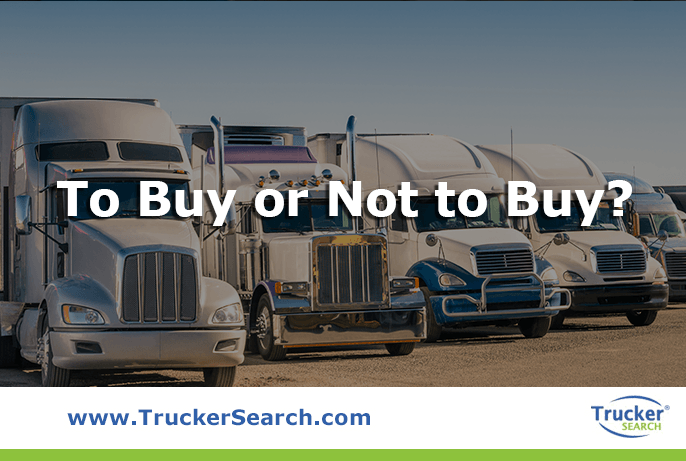 Additionally, many truckers prefer predictable pay and may want to stay with your company if you’re offering a guaranteed minimum number of miles each week. Be engaged. Let your drivers know who they’re working for. It’s easy for a truck driver to become detached when they’re out on the road alone so you should meet with them regularly and make them feel like they’re part of the company because they are, and a very important one at that. Offer incentives to do well. Paying bonuses to the trucker who gets the best fuel mileage or other offers can save the company money. It will not only encourage your drivers to work harder, a little healthy competition can make them feel like they’re part of something bigger. Ask for driver input. Truck drivers will have useful ideas on improving the trucking aspect of your business, and they’ll be a more satisfied employee with the knowledge that their ideas are being heard. Keep your drivers healthy. Driving a truck has the tendency to be an unhealthy profession. Inactivity during hours on the road mixed with the convenience of fast food can wreak havoc on the health of drivers. Encourage them to make healthy choices with diet and exercise contests, try to start a basketball or softball team, or put a walking path around your facility. Even putting up a basketball hoop or volleyball court will give them a place to exercise and it will show them that you care about their health. Keep routes regional. One reason for the shortage of drivers in the shipping industry may be that many are turned off the the profession because of long trips that will keep them away from home for long stretches of time. If it’s possible to break up your routes, your drivers may be happier and stay with your company. Be honest and upfront about the job. Most turnovers in the trucking industry happen in the first 2 or 3 months, largely because of driver dissatisfaction and that the job didn’t match their expectations. Don’t tell them it’s a job that will have them home every weekend if it won’t. Being honest will help you find the right driver for the job. 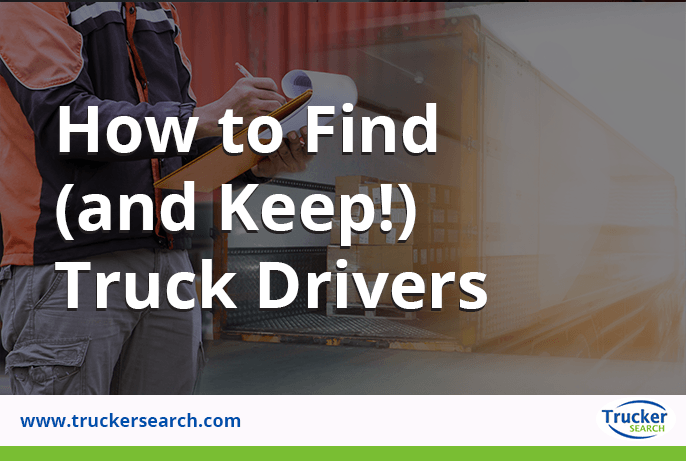 With the right tools, such as Trucker Search, and some key strategies, it is possible to find and retain the right people for your company. To begin your search for a great candidate, go to truckersearch.com or call (888)254-3712 and we’ll tell you how to get started. Truckers have five more days to comment on an exemption request that would exempt carriers with fewer than 50 employees from the electronic logging device mandate. Read more here. 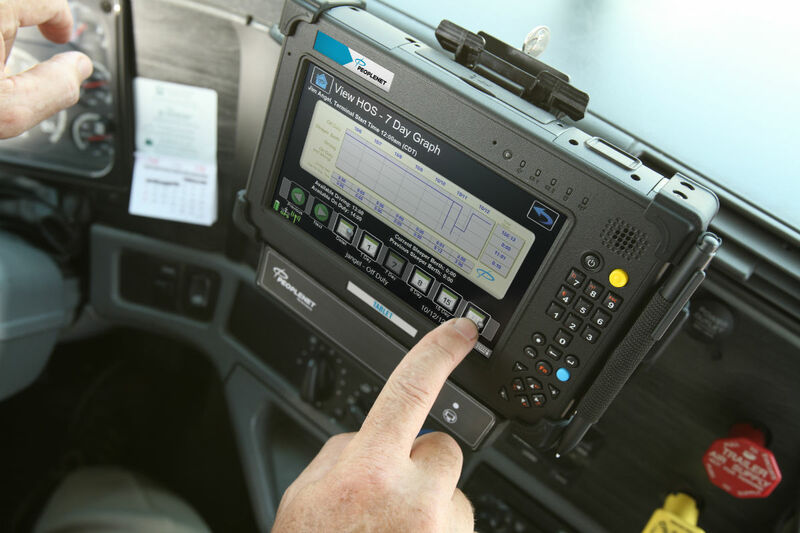 House Representative Kevin Cramer of North Dakota has introduced legislation “to require the Secretary of Transportation to conduct a study about the impact of electronic logging devices and report the findings to Congress.” Read more here. Diesel fuel taxes in Oklahoma increased Wednesday for the first time since 1987, while fuel taxes in six other states will change on July 1. Read more here. Nobody likes looking for a job. After hours of compiling or updating your résumé, you turn to the internet. You Google “trucker jobs”. Google returns an infinite sea of job sites. Okay, you take a deep breath and pick one of the more popular jobs search sites. You input your criteria and after a few seconds, you get a list of jobs. As you peruse them, you realize that many of them require licenses you don’t have or you’re overqualified for many of them or that many of them aren’t even for truck driving jobs. Frustrated, you pick up the help wanted section of your newspaper. Nothing. 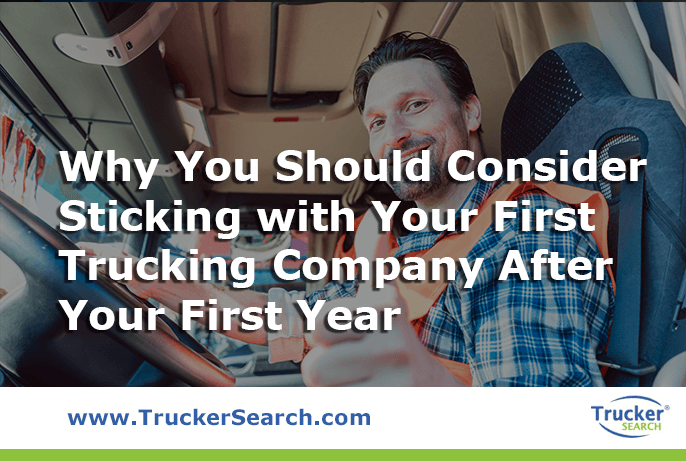 You make a list of major trucking companies that you know and begin viewing each of the websites, finding their careers section, and uploading your résumé to each one. Within a half hour, you get up and walk away from your computer, resisting the urge to throw it out the window, as you go outside to contemplate your life choices. Today, trucking companies are in a scramble to find truckers to fill openings. According to a 2017 truck driver shortage analysis by the ATA, in 2016, there was a shortage of 36,500 truck drivers, and if that rate continues, that number is expected to swell to 174,000 by 2026. It’s not just Amazon that is driving the demand for drivers. Online shopping has always been a boon for small retail companies by allowing them to compete on a level playing field without the expense of brick and mortar stores, but now big retailers like Target and Walmart are finding success with huge increases in their online sales. This shortage is causing shipping costs to skyrocket, and consumers are beginning to incur those costs in the form of higher prices for goods. While this is bad news for consumers, it is good news for truckers. Many companies are desperate for driver and will offer higher pay and better benefits to their drivers. Life on the road isn’t always an easy one and long hauls can be physically and mentally demanding and keep you away from your family for long periods of time. This is one of the biggest reasons that potential truckers are turned off. 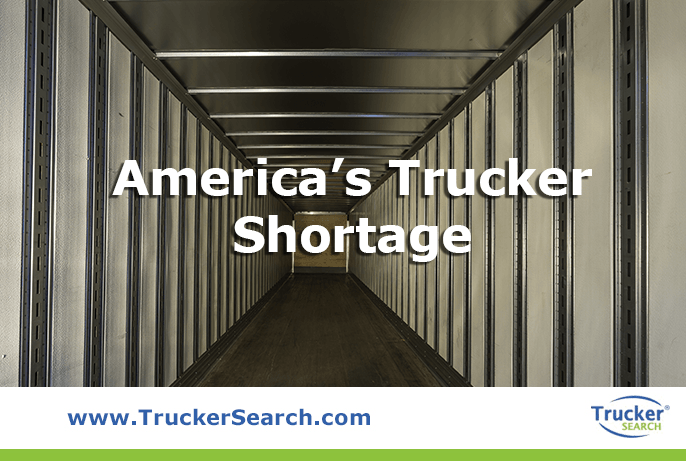 Fortunately, the shortage is making trucking companies rethink the way they do things, and many are now offering shorter runs so their truckers can be home with their families more. Retailers are opening more warehouse “hubs” so hauls are broken up into shorter legs. The high demand has also caused salaries for drivers to skyrocket too. The U. S. Labor Department says the median salary for truck drivers is around $44,000, but many companies today are hiring at $80,000+ to fill trucking positions. When salaries in most industries have remained stagnant over the last several years, trucker salaries have been going up 8% to 12% yearly. Along with sign-on bonuses, 401Ks, and other benefits, the time is ripe to make a great living as a truck driver. If you’re not a licensed driver yet, some companies are even offering to pay for potential employees to take the course that is required for a CDL license which can cost as much as $8,000. There are many ways to look for a trucking job. You can search print ads, bulletin boards at truck stops, help wanted ads in trade publications, social media, and driver application events. You can search online job sites but they don’t do a very effective job filtering out jobs you wouldn’t be interested in and you may find yourself sifting through a lot of jobs that don’t meet your qualifications. All of these ways take up a lot of time and lead to a lot of dead ends. Wouldn’t it be great if there was a way that you could post your résumé and have interested companies contact you? Or what if you could search a database of only trucking jobs available in a region you choose? TruckerSearch.com allows you to search for trucking jobs and have trucking companies search for you. Only trucking jobs and only what you’re looking for. Fill out an application with your relevant information, and TruckerSearch will match you with companies looking for you. It couldn’t be faster or simpler. If you’re tired of spinning your wheels and want to get back out on the road, go to TruckerSearch.com and find your dream driving job!